Aw you look so pretty in these photo's. That dress is lovely and I particularly love the collar detailing! Ohh, the yellow collar is truly the perfect touch! <3 I love this outfit! 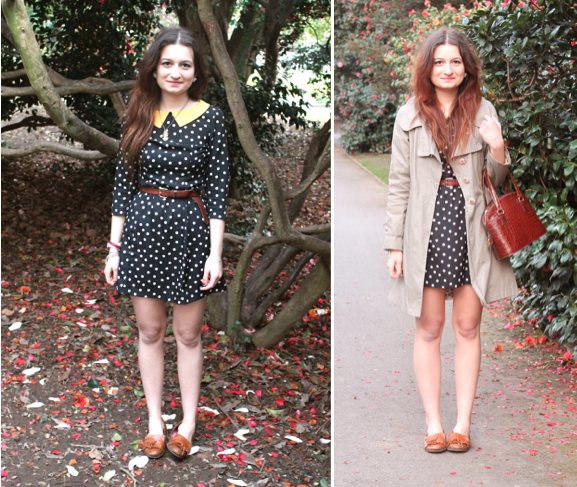 such a cute dress, i love the yellow collar! and have a wonderful time in prague! super cute dress! I love the yellow collar! vAmazing blog, would you mind take a look at mine and maybe follow if you like it ? i follow everyone back! I have a lot going on and rarely get a chance to blog as much as I'd like these days either. You look sweeeet though, that coat is awesome. I'm soo happy that I found your blog! :) I followed you.